What a great idea! And it seems so odd that no one thought of it sooner. The Church Of The Northwest has been a Sunday night fixture on community funded KBOO for nearly a decade, offering the only true radio showcase in Portland for the local (and greater Northwest) music scene. Hundreds of musical acts have performed live in the KBOO studios, first with the original hosts Fiona Martin and Rhonda Kennedy, and for the past few years with the current master of ceremonies, Marc Baker. Marc’s long history in the Oregon music scene, initially as a pioneering disc jockey at KBVR, OSU’s radio station in Corvallis, then with an extended tenure as manager of the highly successful Crazy 8s, made him the logical instigator of such an ambitious undertaking as to cull individual tracks from the separate performances of seventeen bands— over a period of sixteen months. Owing to engineer Jay Bozich’s savvy studio expertise and impeccable consistency, the listener is afforded the rare opportunity to hear an artist perform live, under pristine studio conditions. Bozich’s contribution is that he gives each act a perfect palette from which to create. It’s a great mix of music— King Black Acid, McKinley. Doris Daze, Nervous Christians, Chris Newman, Gravelpit, Richmond Fontaine, Cheralee Dillon, Headland, On A Llama and Henry Moon are among the groups represented with cuts on this compilation. As such, the recording stands as a fittingly accurate overview of the Portland music scene in the mid-90s. “Meladramatica Says” demonstrates Kaitlyn Ni Donovan’s musical maturation over the past three years. Over a droning framework of Cocteau Twinsish guitars, Kaitlyn performs her usual unique melodic gymnastics with medal-winning ease— Zappalike interjections bridge the more linear movements of the verses. Cheralee Dillon’s approach to a song is antithetical to Kaitlyn’s. With “Pure White Soul” she positions herself as a classic torchsinger for the new millennium: equal parts Edith Piaf, Yma Sumac and Connie Francis; driven through the meatgrinder of a decidedly bleak, 90s perspective. Cheralee’s dusky contralto dismembers lyrics, fibrillating into falsetto with shockingly electrical facility. A particularly moving performance. Sounding like a tough Natalie Merchant, Lea Krueger leads On A Llama through a starkly harrowing version of “Stay,” belting out the choruses like the ghost of Janis Joplin. Richmond Fontaine immediately jump in with the breezy “Muddy Conscience.” A dark sense of foreboding colors the uptempo two-step stomp as guitarist Willy Vlautin suggestively slurs the lyrics. Gravelpit’s “Noodles” is, at the very least, the third recorded version in the band’s four year history and the most energetic by far. Vocalist Steve Wilkinson gives the simple lyrics a somewhat restrained treatment, while guitarist Grant Cumpstan and bassist Johnny Huck rifle through a classic chord progression. A fine version of “Pollyanna” by McKinley and her chamber rock sextet is deftly captured for this project. Trodding familiar lyrical turf: quixotic idealist has dreams trampled by a heartless world, McKinley’s sonorous voice joins with violin, cello and flute to create an ethereal mood. And a weird depiction of Mr. Rogers’ neighborhood, “it’s next to the ghetto,” distinguishes the odd folkish duo Orange Astronauts. Meanwhile, Henry Moon follow with the rocket fueled folk of “The Night They Didn’t Go to The Horror Picture Show.” Vocalist Tom Wells’ manic acoustic guitar is underpinned by Eric Hilden’s sprinting bassline and Dennis Elmer’s frenetic drumwork. Can Can Dynamite provide a catchy, sloppy hit with “When You’re Around.” All three vocalists, bassist Wally Dynamite, guitarist Jeff Studebaker and guitarist Lori Monahan sound as if they are singing with lungs full of helium. It’s a different sound, but as infectious as a case of the Fall flu. Greg Paul leads the Speeding Ferlinghetti’s through a sprightly rendition of “Poor Jane,” fueling the expedition with some very flashy guitar work. Nervous Christians tear things up with a recording of “Night Of The Living Dead,” drawn from last year’s Christmas Eve broadcast. Vocalist Dan Eklof rips across the band’s frantic arrangement with seasonal aplomb, lending bad cheer to the most depressing holiday of all. Another gem of the set is “Hot Chocolate” from Doris Daze— harder and more fiery than their studio version, which has garnered them much acclaim. Kaiju 7’s “Midnight Train” a savory piece of Dub confection, is nicely pulled off, with an array of effects used sparingly, but with marvelous results. The moody, atmospheric “Trip To Shore” serves as King Black Acid’s contribution to the set. Twirling on two solemn chords, Daniel Riddle’s vocal floats above the hypnotic setting, sounding a bit like Billy Corgan on Thorazine. Traditionally, live recordings of local bands have lacked intimacy at the very least and sonic clarity, at the worst, in an attempt to seize the energy often contained within a live performance. KBOO’s The Church Of The Northwest recording captures the pristine quality of the studio, but also allows for the energy transference that comes with a live performance. As a live recording and as a compilation of local bands, this ranks among the very best Portland has ever produced. There are so few venues in this city where a band can truly have an audience. Even in the most music-dedicated clubs in the city, the music is often secondary to the event. 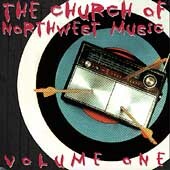 “The Church Of The Northwest” is a club of the radio airwaves. The people who listen to Marc Baker’s wonderful Sunday night show, tune in because they want to hear the regional music that is never played on commercial radio. This recording gives the public at large an opportunity to hear something that dedicated listeners have been hearing all along. And it’s top drawer stuff. Speaking of The Church Of The Northwest, Mourning Tuesday felt so strongly about their on-air performance, they chose to release it on CD. And the same precepts that are at play in TCOTNW’s aforementioned recording are working here— the same intimacy, the same clarity, the same energy. Mourning Tuesday made their debut only one brief year ago on another excellent live local recording: Live From The Mount Tabor… The new collection serves to prove how far they have come as an ensemble. Joel Middleton’s vocals have acquired body and soul. And the arrangements bespeak a maturation hard won from a year’s worth of gigs. “Inside” is the perfect example. Small subtleties have crept into Middleton’s often gruff vocal style, with the other band members following suit. Similarly, “Sara” has undergone a transformation. Dave Noyes’ liturgical organ backing lends the track a Counting Crows feel. “Knowledge,” another of Mourning Tuesday’s older tunes, benefits from the growing up the band have done. Space has been created for Joshua Jade’s reggae tinged bass and Jason Rodgers’ bluesy guitar fills. Of the newer material, “Red Rocking Chair” allows drummer Evan Louden room to explore more percussive aspects of his craft, while Joel unfolds a clever droning acoustic guitar jig álà Jimmy Page. “Kats” exhibits the band’s propensity for creating music that is harder than Dave Matthews’, but more gentle than Pearl Jam, more intense than Live— yet bearing similar characteristics to all three, without being imitative. Noyes’ versatile keyboard work, in this case a piano, is well informed with rock, gospel, classical and jazz phrasings; a talent he applies to both “Kats” and the following number, “Newton.” Over a stuttering bassline, Noyes moves with ease through Gershwin-esque piano flourishes, as Middleton delivers an introspective vocal to a poignant song. “Naked On Letterman” is a 12/8 romp that calls to mind REM at times and Aqualung-period Jethro Tull at others, while giving Noyes time to go wild in the middle section. “Judas’ Reward” harkens back to a Counting Crowsish feel, slightly country, slightly gospel, occasionally jazz, slightly folk. 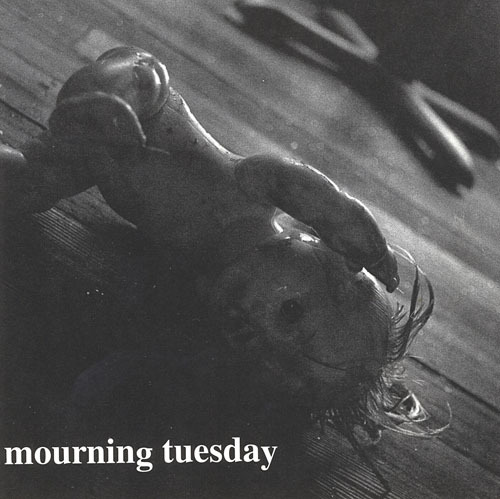 Mourning Tuesday remain one of Portland’s best kept secrets. They imbue their music with passion and fire. They create a musically informed, emotionally accessible sound that sets them apart from most of the basement bashers among their counterparts. They are very young men. And there is every reason to expect nothing but great things from them in the future. They are certainly deserving of closer scrutiny. Hummingfish’s second big-production recording finds them developing a very pleasing sound of their own, given amazing heart and depth of feeling through the songs and vocal interpretations of Deb Talan. Talan evokes complete and utter desolation on the aptly entitled “Wistful Fall.” Over a grievingly morose guitar arpeggio, Jeff Inlay melds long, sustained, mournful wails on his guitar. And with a clear, careful voice, Deb pierces the murky mood. 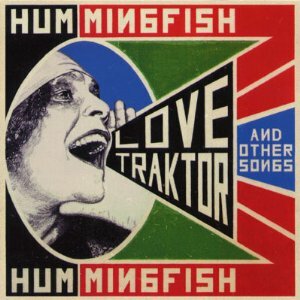 “Love Tractor” flirts with a reggae feel, while moving through a familiar chord progression, recalling the B-52s and Tom Tom Club. In a similar way, “Chocolate” mingles funk flavors into the musical stew. “Wolfsong” places a strange soul twist to the proceedings. And “Trees” moves in a nice direction, punched up by Andrew McGough’s solid drumming and Mark Buchanan’s jaunty bass work, while Inlay meanders with a lulling slide guitar figure. A real keeper. Another keeper is the gorgeously bittersweet “She.” “They seemed to need you too soon/ You became a planet/ With an unwanted moon.” These thoughtful lyrics are placed over a bed of acoustic guitars and the restless train of brushes upon snare. “Marilyn Monroe” sounds like Deb singing a Dave Matthews song. Kinda weird. Of course the band must venture into weirdness occasionally, if only to make way for the beautiful numbers, such as “Living Room,” a better single in the Innocence Mission vain than anything Innocence Mission has put out in years. And “Neurotic Undertow” rocks harder than anything Throwing Muses have dished out lately. Maybe only half the material really works on this outing for Hummingfish, but the material that works is very good. Deb Talan’s vocal and songwriting talents are such that she is able to make the most of her abilities more often than not. Maybe a more critical ear toward what is successful for the band in the recorded medium will help them to be more consistent in the future of what should a long and illustrious career at making music. A newly arrived band to the local scene, the aptly named Nocturne sally forth with a techno-goth sound, reminiscent of Bryan Ferry or the Smiths with elements of Dead Can Dance and Cocteau Twins thrown in. Vocalist Jeff moonfully croons over a wash of moody synth strings, watery guitar arpeggios and chunky bass chords strumming melodic figures. Somber, but majestic. Jeff’s highly stylized vocal approach works well in “The Haunting” drawing the listener in with his emotive ululations. Ashe’s complex basswork drives the atmospheric arrangement, as Tod’s single note phrasings form the foundation. A nice transition leads into the uptempo “To Die For.” Here, drummer Mark provides a snappy surf beat beneath Tod’s flickering guitar riff. Obvious perfectionists, Nocturne’s execution is unfalteringly tight, their sound unfailingly dark. “Fade To Grey” weaves Ashe’s clockwork bassline with Megan’s strangely compelling synth string lines as Tod interjects discordant guitar. Mark’s jungle toms propel the song forward as Jeff whispers sweet nothings to the cosmos— nearly incoherent in his ecstatic embrace of the moment. 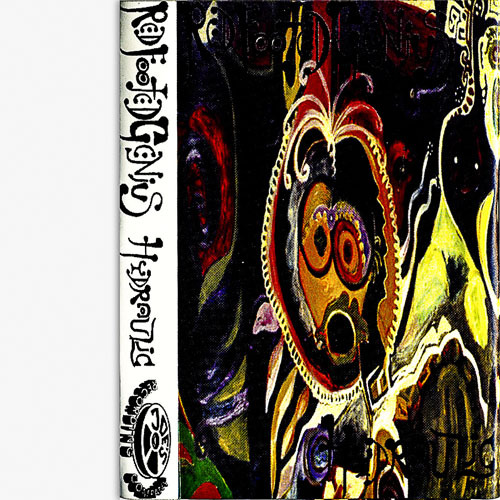 Tod’s telegraphic hammer-ons and droning chord progressions are the highlight of “Tattered Angel,” wherein the band seem to settle into their well-honed groove. Nocturne offer up delicious Eurogloom with detached panache— a sound rarely played in local clubs. Their dedication to the atmosphere is admirably sincere, while seeming dangerously subversive in a plain flannel town. One wonders how Portland will take to Nocturne’s decidedly foreign sonambulance. Whatever the verdict, they seem assured of status in standing among the city’s more unusual acts. An engaging four-piece who have been making waves locally in the few months since their debut, Nicotine purvey a modified form of grunge— sounding alternately like Alice In Chains, Everclear and Nirvana; but with a little something different added. Jesse King, having ostensibly turned down opportunities to drum with both the Dandy Warhols and Everclear, fronts the band vocally and furnishes supplemental guitar behind leadman Sean Brazie. “The Way I Feel Today” kicks off with a hopping chord progression, over which King shadows with halting vocal. Bassist Jim Swanson (of the Clergy) and drummer Rich Crouch provide the forward motion. The bridge indicates a certain British influence, melodically. But otherwise it’s a rather pedestrian piece. A ballad intro decorates “Letters From The Dead,” within which we discover that Jesse couldn’t carry a tune in a sack— but his ethos is such that we identify with him, maybe moreso because he’s not much of a singer. The chorus is fairly familiar fare, maybe a touch of Everclear dripping from the corners. Driven by a well integrated intro and a compelling guitar riff, “Yew” seems to best suit Jesse’s limited vocal range. And while it’s a catchy number, it really doesn’t seem to go anywhere: just the same power chords sweeping by, over and over. 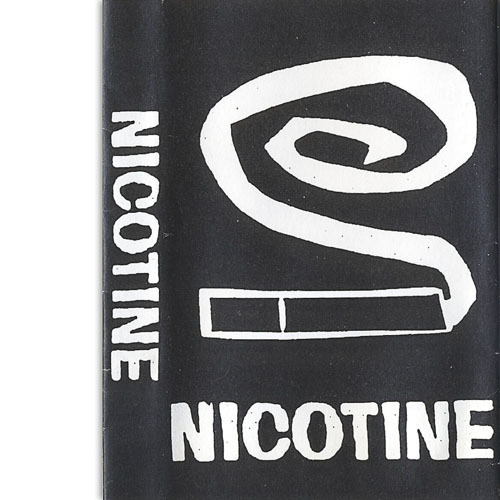 Basically, on the strength (or weakness) of this three-song recording, it’s obvious to tell that Nicotine have a knack for the familiar. But there is nothing special about the material either, other than the comfort of its familiarity. The band needs to find something new and different to say and a new way to say it. A song is more than a cool chord progression and some vocal mannerisms. 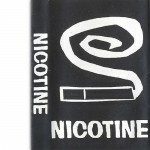 Once Nicotine have learned and mastered this concept, they should do quite well for themselves. 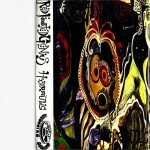 Yet another band new to the local scene are Red Footed Genius. Hailing from Southern Oregon, they are the brainchild of singer/songwriter Sean Haffner. Haffner is a fairly prolific writer of strong middle ground rock material— perhaps stylistically aligned with Matthew Sweet. Sweet is the first to come to mind on the pretty “Last To Know.” Moodily romantic in quality, the song is buoyed by Haffner’s crunchy guitar and unaffected vocal. “Set Up” falls into the same mode, maybe incorporating a little Toad The Wet Sprocket feel. Haffner seems to have absorbed the craft of songwriting to the extent that he is free to express himself without relying on cliché. His songs stand on their own merit, showing emotional insight and intelligence. Songs that seem to have not much promise at the outset, “Insanity Is In Love” for instance, slowly evolve and blossom into flower, offering rich rewards. Similarly, “Diminution” seems to tred a familiar path before taking a turn, somewhere near the middle, changing the framework of the song in the process. Half-way through “Carelessly,” indifference inexplicably becomes conviction. “Kids Are Falling” is a waltz that incorporates elements of Toad and XTC in very pleasing ways. Bo McCarty’s subtlely powerful drumwork and Andrew Nunez’ restrained bass movements serve as the perfect foil to Haffner’s pensive style. “Mr. Moore” could easily be the work of the Lemonheads, Haffner’s vocal eerily invokes the plaintive qualities of Evan Dando’s delivery. Sean takes the song to another level with a well executed guitar solo that is of another realm altogether. 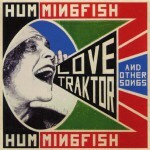 Perhaps the hit of the mix is the gorgeous “Hurting,” a tune which could be mistaken for a Toad outtake, except that Toad would have never left such a song unreleased. Nunez’ dancing bassline provides the momentum here as Haffner’s acoustic guitar whirls around it. “Sounds Like” is another strong song. Haffner’s winsome voice is well-suited to the material and context— effortlessly detached. Big, open chords provide the impetus within a pocket as big as a Buick. Red Footed Genius have a very bright future. They play within their limitations without becoming predictable or boring. Their songs are infused with a haunted quality. But the band never stoops to cuteness. Instead they speak to the tenderest aspects of the human condition, which is a rare breath of fresh air in these troubled times. 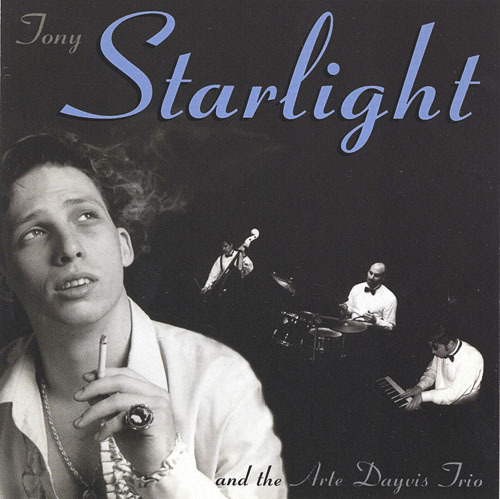 Within the small but vital Cocktail community in Portland, no icon shines more rhinestone bright than Tony Starlight and his stylish combo the Arte Dayvis Trio. Starlight, the history of whose career is indeterminate, was the first to bring Cocktail magic to the Portland clubs and instrumental in keeping the trend in the public eye. And for that alone he is to be enshrined or entombed depending on how you feel about the Cocktail Nation thing. And what’s with this Arte Dayvis Trio deal? Who is Arte Dayvis and what does he do? He certainly doesn’t play in the trio, comprised of Ralph Huntley on piano, Tim Miller on bass and any number of people in the drum seat (for this recording filled by Richard Huntley). And “A Journey To Boston in Billy Springsteen’s U2 Speedwagon” manages to make lounge out of all the rebel tough boys of the 70s and 80s, seamlessly mangling all the aforementioned with Billy Joel, Bonnie Tyler and John Cafferty thrown in for good measure. The gist is that Tony Starlight and the Dayvis boys never play anything particularly straight. They make each number (“We do numbers. We don’t do songs. That’s how you differentiate us from guys with tattoos.”) their own, imbuing each with irreverent sarcasm and politely incisive contempt. Truly, nothing is sacred. No subject is taboo. Every city needs a Tony Starlight. Maybe every city has one. But this one is Portland’s very own Tony Starlight. And for that, we should be warily thankful. For our Tony Starlight mocks the overblown nature of Rock & Roll, cutting with a loving scalpel, as he lampoons even his own raison d’etre with malice and affection. There will always be a place for Tony Starlight’s act.